It is easiest to write about nature and beauty when peace settles around the poets, yet peace is rare whenever humans are involved. The rise of conflict brought an end to the Naturalism and Realism movements in the literary world. In 1914, Austria-Hungary declared war on Serbia after the assassination of the heir to the throne of Austria-Hungary, Archduke Franz Ferdinand of Austria. This act invoked international alliances and within weeks, the entire world was involved in a war far more brutal than can be imagined. World War 1 was not constrained to battlefields, soldiers and major political powers. It affected every person, no matter how distant. No sooner did the Great War end than the second began. These wars greatly influenced the artists’ approach to the doubly shell-shocked world. Poets turned from the Romantic viewpoints of nature, being and the overarching structures of history as foundations for their work. It was as if the curtains were opened and they saw the stark bones of society, mechanical and bereft of compassionate traits. Modernist writers broke away from the old traditions and freely experimented to develop new forms of expression. Initially, the Modernist movement was a reaction against the Victorian culture that prevailed throughout the previous century. Modernists knew that world events were spiraling into unknown territory and stability would be war’s greatest victim. The philosophy of Modernism was that the written works should challenge the reader, break with tradition and, in the words of Ezra Pound, “Make it new.” Modernists were tired of images being used as a decoration for writing. They believed that the correct use of imagery was the highest form of speech. With the right image, the poet reveals the spiritual reality of something not simply a collection of adjectives to describe physical elements. Ezra Pound is considered the poet most responsible for defining the modernist movement in poetry. In early twentieth century, he fostered an innovative exchange between American and British writers and advanced the work of his contemporaries. His contributions to poetry began with Imagism, derived from classical Chinese and Japanese poetry, stressing clarity, precision and economy of language. Pound was born in Hailey, Idaho, in 1885, moved to Pennsylvania and earned a degree from Hamilton College. After teaching at Wabash College for two years, he traveled to London, Italy and Spain. In 1924, he moved to Italy and became involved in Fascist politics. When he returned to the United States in 1945, he was arrested for treason for his radio broadcast of Fascist propaganda during World War II. He was acquitted the following year but was deemed mentally ill and committed to a mental hospital. Despite his confinement and diagnosis, the jury of the Bollingen-Library of Congress Award decided to look past his political history and recognize his poetic achievement with Pisan Cantos (1948). He was released from the hospital in 1958, returned to Italy where he lived a near-reclusive life until he passed away in 1972. 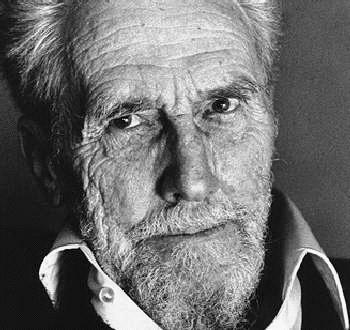 Ezra Pound was a prolific writer of poetry and prose. 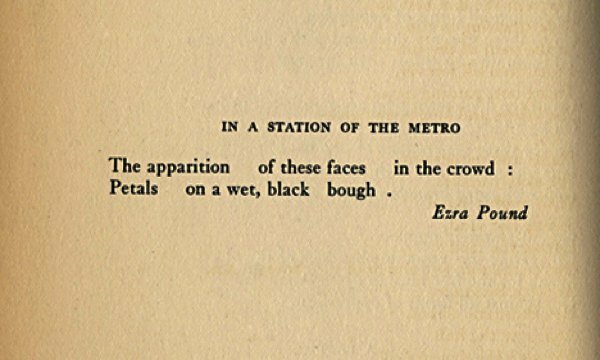 One of Pound’s greatest poems began when he stepped off of the Metro in Paris and saw one beautiful face after another. He immediately drafted a 30 line poem about the experience. When he finished, he felt it was too long and threw it away. Six months later, the Metro experience still lingered and he tried writing a shorter version which failed to please Pound and joined the first in the trash bin. A year after the experience, Pound applied techniques gleaned from Haiku to his Metro vision and created one of the most famous, influential and haunting works in modern poetry, a poem that consists of two lines. Thank you for joining me for Pretzels & Bullfights and this introduction to Ezra Pound and glimpse of the Modernist Literary Movement. Links to more of Ezra Pound’s work are included in the Reference section below. How fascinating, Beth. I had no idea that Pounds life was so singular. It gives you an idea of how he came to write what he did. Thank you. I’ve always felt that wars dislocate people and the institutions that they depend upon, leading them to try to invent new culture to take the place of what is lost. This was interesting, thanks for sharing it. How unsurprising that power deems those who disagree as mentally ill. I agree with you 🙂 Sometimes it is people closer than “power” who make such judgements. Thank you. Pound’s work is really inspiring. It forces me to find the extra layers of meaning added to each word. Thank you, Beth! Thank you Beth for a fascinating piece – I followed all the links to learn more. I’m certainly a devotee of brevity in poetry, and am frequently infuriated by reading poems that have gone on for 200+ more words than they should have. An analysis of the poem in one of your links: says “The poet is watching faces appear in a crowded metro (subway) station. You wouldn’t know it only from reading the poem, but we’re in Paris, which means that everyone looks really nice.” Apology in advance for my irreverence. all human life is there. fat bodies, thin, tall, and short. that every one looks really nice. occurs to create a little miracle. I think those ‘small stones’ as they are now called are so precious. Emily Dickinson was brilliant at it. no matter how we plead. This is wonderful~ Thank you so much for sharing him~ I had no idea-off to read more of his penned beauties! Thanks for reminding me to read more of his poetry!